Take pictures of the damage to both vehicles and the accident scene, using your camera or cell phone. Beware of the clever insurance adjuster who does not have your best interests at heart and is actually looking for ways to see that their company pays you as little as possible or nothing at all. Protecting your rights in a motor vehicle injury case means retaining a New Jersey auto accident lawyer prior to, or directly after, receiving the first treatment for your injuries. 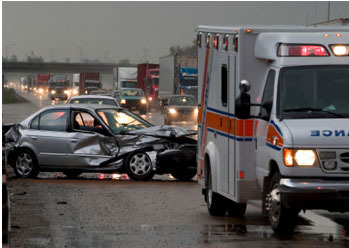 The extensive experience of New Jersey auto accident lawyer, Larry M. Pollack, Esq. in handling motor vehicle accident cases means that he knows how to prove what is necessary to meet New Jersey personal injury thresholds. All motor vehicle accident cases call for expert legal representation, which is why it is important for you to contact Larry M. Pollack, Esq., a New Jersey car accident lawyer today for a free, no obligation consultation.